Grab a place on the couch, or go find a seat, For you're in for a wonderful Dr.Seuss treat! 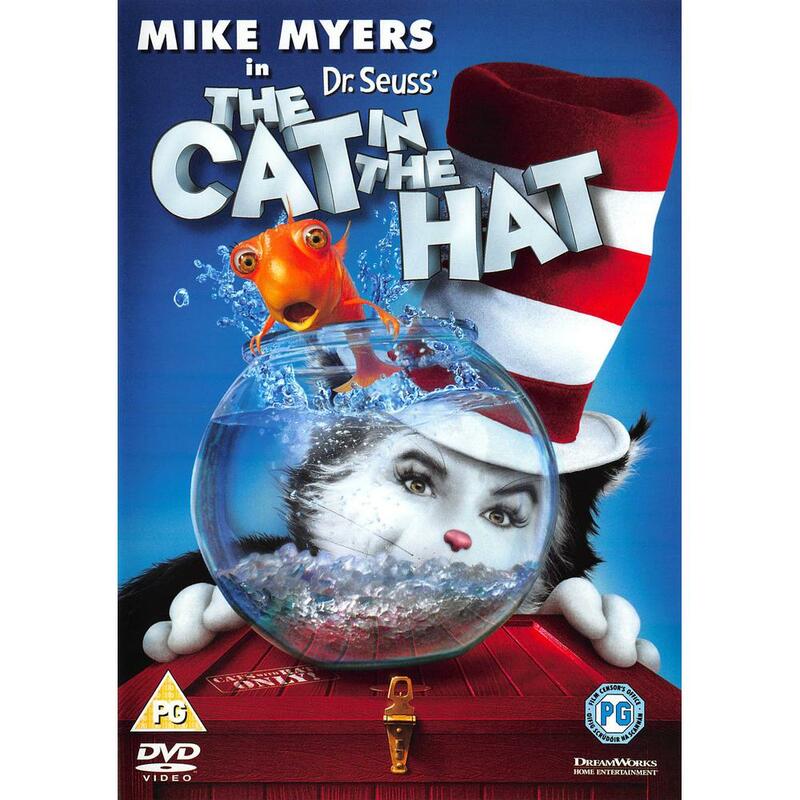 The Cat in the Hat who goes by that name Is played by Mike Myers of comedy fame! It starts with two kids on a cold, cold, wet day. Their mum is at work, and they've no games to play! Then in walks the fun in the form of a Cat who pulls out the laughs from the brim of his hat. Things really get wild when The Cat and his crew (who go by the names of Thing One and Thing Two), take over the house of Conrad and Sally In this fine family film that's right up your alley! Special Features Feature Audio Commentary With Actor Alec Baldwin And Director Bo Welch, Deleted Scenes, Outtakes, The Cat, The Fish, The Music, Seussville Usa, The Real Dr Seuss, The S.L.O.W, The Kids, The Cat Stacks, The Mother Of All Messes, Dance-Along With The Cat!